After announcing that the Camaro ZL1 is making its triumphant return, Chevrolet doubled down, unveiling the 2017 Camaro ZL1 convertible at the New York auto show. Set to on sale in early 2017, the Camaro ZL1 convertible packs the same 6.2-litre supercharged V8 as the one found under the hoods of the Cadillac CTS-V and Camaro ZL1 coupe. The supercharged LT4 makes 640 horsepower and 640 lb.-ft. of torque, the latter of which is 10 more than the CTS-V thanks to specially-tuned intake and exhaust systems, according to Chevrolet. 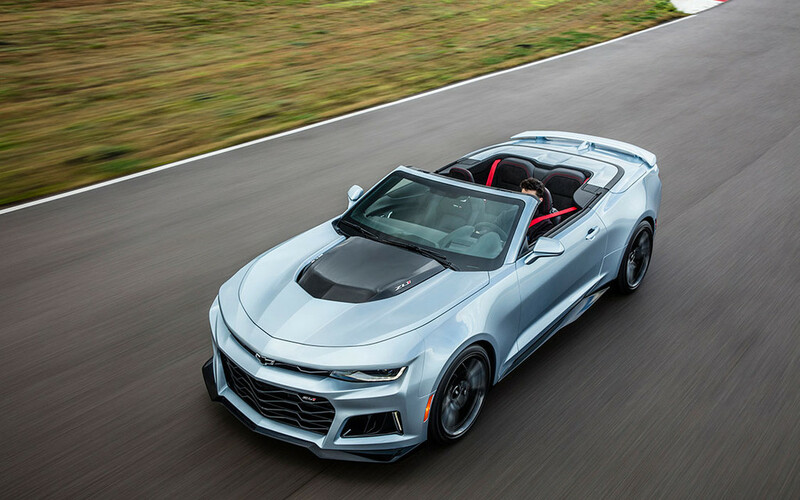 The automaker says the ZL1 convertible "offers comparable performance to the coupe," and it credits the sixth-generation Camaro's "modular and rigid body architecture" as the reasons why. According to Chevrolet, the Alpha platform on which the car is based "was designed at the outset to support a high-performance convertible." The same platform underpins the Cadillac CTS and ATS, including the ATS-V.